As the fall season rolls in, so does the message about falls prevention awareness from the Missouri Department of Health . One in three seniors in Missouri will suffer a serious fall in their lifetime, according to the Health Department. The number of those falls that result in death, says Director Margaret Donnelly, is a third higher than the national average. Donnelly says the department is urging Missouri seniors to make sure they’re exercising and maintaining good strength and balance, identify hazards in their home, such as area rugs they could slip and fall on, make sure their medication is balanced so it’s not making them dizzy, and get their vision checked on a regular basis. The department recommends older adults who live alone have a good safety plan in place with their family and friends, whether it’s calling to check in every day, frequent visits or wearing an alert device in case of an emergency. Donnelly says awareness of the risk is key to preventing them and senior citizens can get information on how to be proactive and prevent falls either through the Health Department or their community senior center. Donnelly says most think about the elderly falling a breaking a hip, but the injuries are far reaching. Too many elderly Missourians suffer nasty falls and the state’s official senior citizen advocate wants to prevent them. The statistics as related by Lt. Governor Peter Kinder spokesman Gary McElyea are grim. "Falls in Missouri actually cause a number of injuries and are the leading cause of death from injury among people 65 years of age and older," says McElyea. "And, also, falls remain the leading cause of traumatic brain injury among people 65 years of age and older." The Lt. Governor is the official senior citizen advocate in Missouri. He has joined with the Missouri Department of Health and Senior Citizens to launch the Show Me Falls Free Missouri. A new study from the Centers for Disease Control and Prevention indicates that nearly 50,000 senior citizens are hospitalized each year from falls while using canes and walkers. The study reported that 90% of walking aid injuries involved walkers. McElyea says strategies to prevent falls include regular exercise, annual eye exams, improved lighting in the home as well as reducing the hazards in the home. "Often loose carpets and lack of bathroom safety equipment such as hand rails, or even slippery surfaces can normally cause falls," according to McElyea. A field hearing of the U.S. Senate Aging Committee is scheduled for Monday in St. Louis. Senator Claire McCaskill (D-MO) is investigating what she and others believe are unscrupulous insurance practices aimed at senior citizens. At issue are Medicare Advantage insurance policies – which are sold by private insurance companies. Generally, a person who joins such a plan gets all of his or her Medicare-covered health care through that plan. On the positive side, the plan could include extra benefits and lower copayments, but the plan might also require the senior to see doctors that belong to the plan or go to certain hospitals to get services. McCaskill says some of the insurance vendors are preying on the elderly. McCaskill says sone of these plans are great because they offer an added cushion, but many seniors are taken advantage of when they are scared into thinking they might not have the coverage they need and are sold policies that are not really necessary. 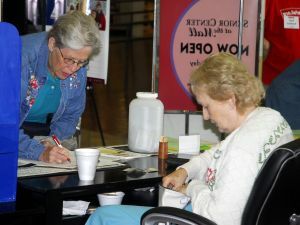 Nearly 175,000 Missouri senior citizens have signed up for the state program that helps offset prescription drug costs, but that’s not enough say state officials who are pushing for more to enroll. Missouri RX supplements Medicare Part D, the federal prescription drug program with the infamous donut hole. Medicare Part D pays for prescriptions up to a point, then doesn’t pay anything until picking up coverage again, creating a period of non-coverage popularly known as the donut hole. Sara Anderson with the Department of Social Services says the state estimates that nearly 43,000 eligible senior citizens haven’t enrolled. State records indicate that 217,430 Missourians are eligible for Mo RX. To be eligible, a senior citizens must be enrolled in Medicare Part D and have an incomes below 200% of the federal poverty rate. That poverty rate translates roughly into $19,600 for a single person and $26,400 for a couple. Anderson says the state believes awareness of the program needs to be raised, especially in rural Missouri. Mo RX also provides a resource to help compare drug prices. A Web site http://www.morxcompare.mo.gov/ uses specific information to calculate prescription costs at various pharmacies near where the person lives. Ten Missourians have died due to the recent heat wave. The Department of Health and Senior Services reports that more than 1,300 Missourians have been treated for heat-related illnesses. Most of the deaths have been reported in St. Louis and St. Louis County. A total of 12 Missourians have died of heat-related illnesses, but two of those deaths recorded in Kansas City occurred in July and are not considered part of the count for the August heat wave. Health Department spokesman, Brian Quinn, says that by far the majority of the people who have died have been elderly. Quinn says the department urges the elderly to seek air conditioning in shopping malls or stores or the cooling centers established in the state. The department also is asking for Missourians to check on elderly relatives and neighbors to make sure they are not getting too hot and are drinking plenty of liquids. A state representative has launched his campaign for Lt. Governor. Rep. Sam Page (D-Creve Coeur) has begun traveling the state, announcing his candidacy intention to run for the office now occupied by Republican Lt. Governor Peter Kinder. Page, a physician, first won election to the House in 2002 after serving on the Missouri Senior RX Program. Though a Democrat, he played a role in drafting the MO Health Net bill, the program that replaces Medicaid. But Page is critical of the bill. He says he appreciates the Republican leadership’s interest in including some of his ideas, but he says the new program will fall far short of what he advocates: restoring the Medicaid cuts approved in 2005. The Lt. Governor is president of the Senate and works as the state’s elderly advocate. The Lt. 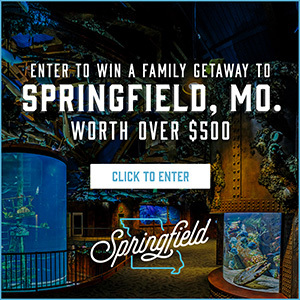 Governor also chairs the Tourism and Missouri RX Plan Commissions as well as the Missouri Development Finance Board. Many Social Security recipients will get a tax cut next year. The House has easily approved the measure 133-11 and sent it to Governor Blunt, who backs the proposal. House Speaker Rod Jetton (R-Marble Hill) didn’t get everything he wanted, but says the bottom line is that taxes will be cut for hundreds of thousands of citizens. Individual Social Security recipients with incomes up to $25,000 will benefit as will couples earning up to $32,000. Other government pensioners outside the Social Security system, such as retired teachers, will receive a break as well. When fully implemented in six years, it will be a $154 million tax cut. Jetton says he didn’t want the phase-in, but accepted it to get the bill through the Senate, which has had a less rosy picture of the state budget. Jetton says the bill will stimulate the economy, because senior citizens will spend the money. Jetton says the state also should end the practice of double-taxing Social Security. He says Missouri will derive other benefits by becoming a more retiree-friendly state. The House approves HB 444 133-to-11 and sends it to Governor Blunt. Some Democrats say the legislature lost focus. They contend the money should have been used to restore those Medicaid cuts, not for a tax cut. Freezing temperatures this winter don’t mean Missouri homes have to be cold, because of more lenient payment terms under a revised Cold Weather Rule. The Cold Weather Rule goes into effect today. Disconnected residents can now get reconnected by paying either 50 percent of their existing debt or by paying 5-hundred dollars, whichever option costs less. The remainder of the debt will have to be paid at a pro-rata rate during the next 12 months. But, Public Service Commission Chairman Jeff Davis says all registered customers are safeguarded from heat being shut off when temperatures dip below freezing. Davis also says if you are an elderly or disabled citizen and you meet certain income guidelines, you can’t be shut off for any reason. Residents can also seek assistance from the state’s Low Income Heating Assistance Program.